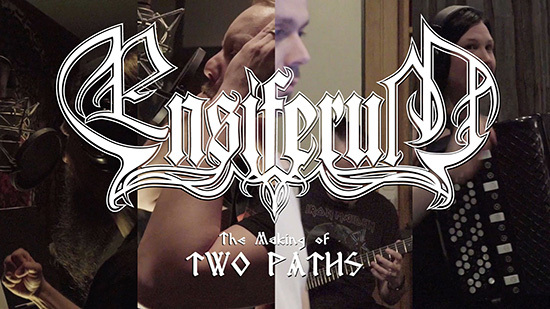 ENSIFERUM launches “making of” documentary video for new album, ‘Two Paths’! New album ‘Two Paths’ out tomorrow! TOMORROW, ENSIFERUM will release their seventh full-length, ‘Two Paths‘, worldwide via Metal Blade Records. Produced by Anssi Kippo, the master was recorded on tape, for a true analog experience. In anticipation of this release the band has now launched a “making of” documentary video for the album, which can be viewed at: youtube.com/watch?v=iaUE85WKTPw. 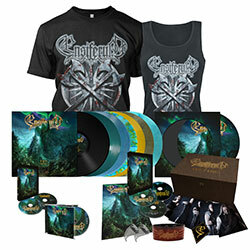 Fans can also watch the video live now at: facebook.com/Ensiferum – where a live stream of the forest green-marbled vinyl edition of ‘Two Paths‘ will take place afterwards.